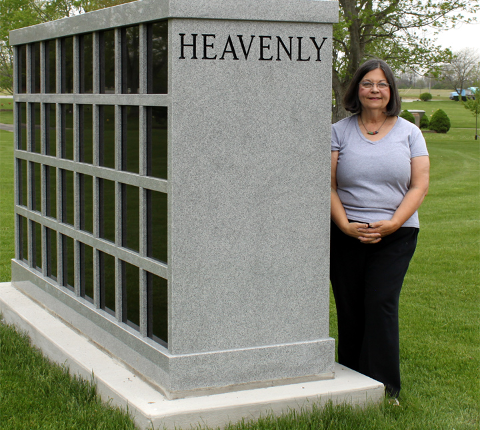 Lora Aleo, CEO and President of Miami Memorial Park, is proud to present HEAVENLY COLUMBARIUM. HEAVENLY is located at Miami Memorial Park's center circle on the east side of circle. 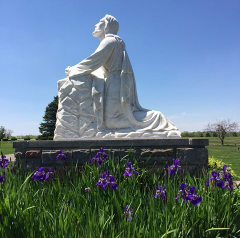 It is the first of our columbariums in our featured garden that will be located along the perimeter of the circle. As you know, the niches of a columbarium are for the cremated remaims of a loved one. There are 64 niches in the Heavenly Columbarium. 32 niches on each side. 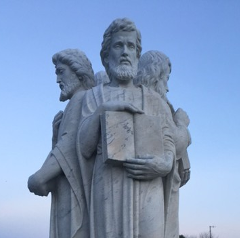 The entire structure of the columbarium is made of gray granite with black granite covers that can have your loved ones name, birth date, and death date engraved on it. The engraving will be done in an elite standard manner which will maintain a clean consistent look. Enjoy Miami Memorial Park's Serene Atmosphere. Miami Memorial Park has many marble features throughout the park. Our " Columbarium Niche " program offers affordable interment for cremated remains of a loved one. Contact one of our Family Service Advisors for details. Family discounts for parties who have family members interred at Miami Memorial Park. You will be pleasantly surprised with our affordable pricing and payment plan. A Columbarium Niche is more cost effective than buring cremated remains of a loved one in a typical burial gravesite. Our staff is available to assist you with matters of concern to you. Do not hesitate to call.